Little Critter's New App + Autographed Book Giveaway | More Crunchy Beach Mama! It’s Spring Break here and you know what that means? Road Trip! 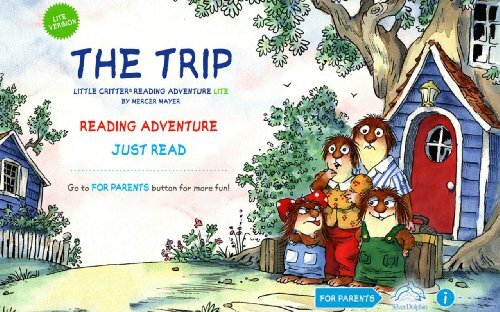 What could be more fun then two new “trip” themed apps starring beloved author Mercer Mayer’s Little Critter. The Trip – Little Critter Reading Adventure and The Trip – Little Critter GamePak are now available in iTunes, Barnes & Noble, Amazon, and Google Play. We went on a day trip last weekend and I saved this app for P’Diddy to keep busy. It’s really cute and if you are a Little Critter fan at all you will definitely enjoy it! Kids can help Little Critter choose the route the family will take and explore the countryside, the city, the beach and more; fix the car when it breaks down; move a horse stuck in the middle of the road; feed the seagulls; and even find time to grab a hot dog. All this while playing lots of games with Little Sister along the way to pass the time! 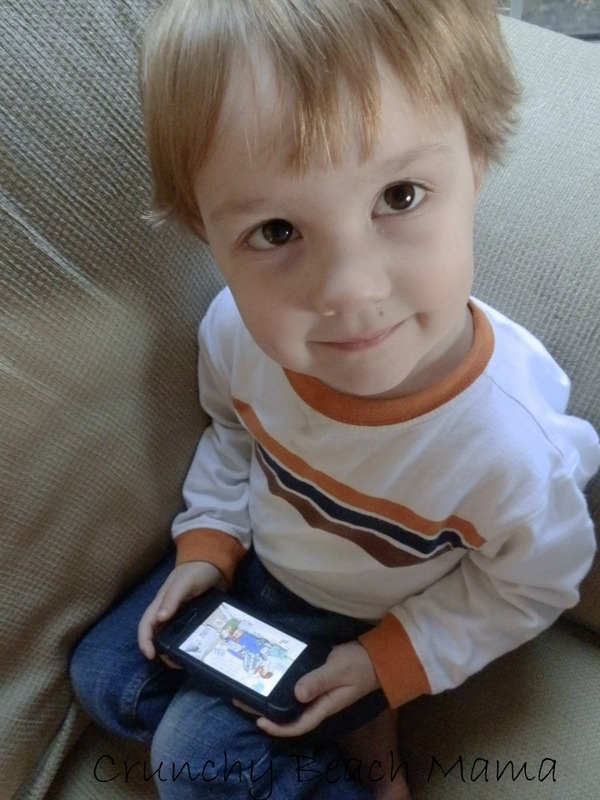 Recommended for ages three to seven, the app emphasizes basic pre-school and early elementary curriculum. While many of the ‘games’ were too hard for P’Diddy at age 3, we had fun working on it together. I will love seeing him be able to master all the puzzles as he gets older. 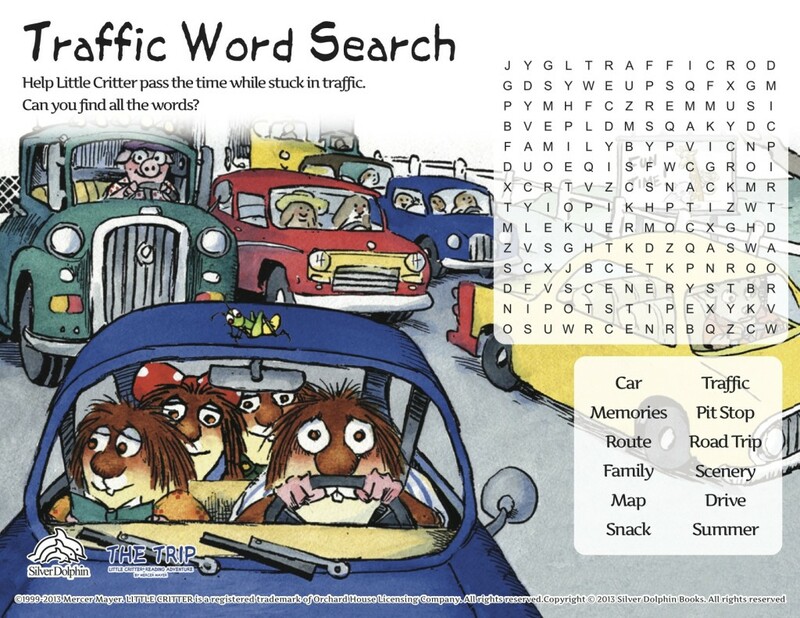 Available simultaneously is The Trip – Little Critter GamePak, an extension of the reading adventure app, which includes over 50 fun and engaging activities featuring Little Critter. Divided into two sections, the GamePak includes five game themes including Dot-to-Dot, Mazes, Matching Pictures and Words, and How Many? The GamePak also features Digistix – a section that features over 175 digital stickers across five game themes, inspiring the imagination and fostering creativity. Get even more Little Critter fun with Activity Sheets! Download a bunch of cute ones HERE to keep your Little One busy! Also, be sure to enter the Silver Dolphin Books’ YEAR OF FUN contest at the Silver Dolphin Books Facebook page, and enter to win FREE kids apps and books for an entire year! Starting April 1, every week for four weeks, one lucky winner will win every kids app that Silver Dolphin Books’ launches in 2013. Gosh, lots of great stuff! 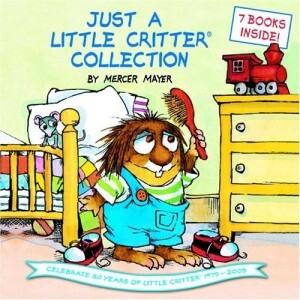 It gets even better though…today you can WIN an autographed Little Critter book by Mercer Mayer!! a 176-page hardcover collection of seven Little Critter stories in one! The Amazon links are affiliate. If you use them you’re helping to support this blog. Thank you for that! I received this product for review and all opinions are my own. This giveaway will end on April 18, 2012 at midnight EST. Winners will be drawn via rafflecopter. Once a winner is drawn I will contact them and they will have 48 hours to reply before I draw a new winner. Giveaway is open to anyone in the US and you must be 18 years of age or older. Giveaway not affiliated with Facebook & I release them of liability. Winner will be posted in the rafflecopter widget. We love Little Critter! Thanks for hosting the giveaway!